Horizons annual ARTastic Holiday Pop-up Shop is just around the corner. ARTastic features unique handcrafted works by local Colorado artisans. 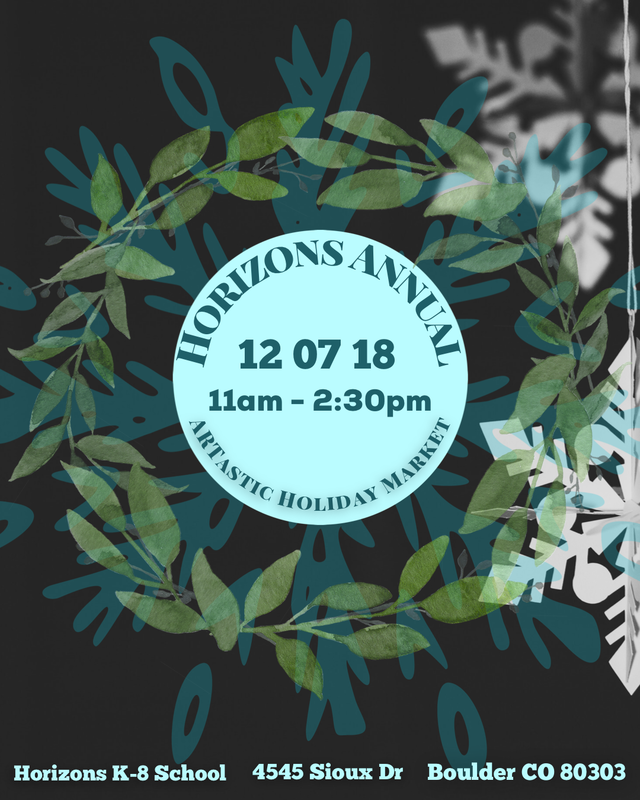 Horizons hosts this beautiful wintery market event in our gym. Join us December 7th from 11 a.m. to 2:30 p.m. where you can get your holiday shopping done and support our school!